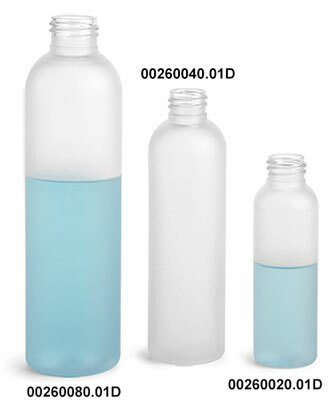 These frosted PET cosmo round bottles are available in a range of sizes and come with matching white polypropylene disc top caps. These caps allow for the convenient dispensing of a small amount of product when light pressure is applied. 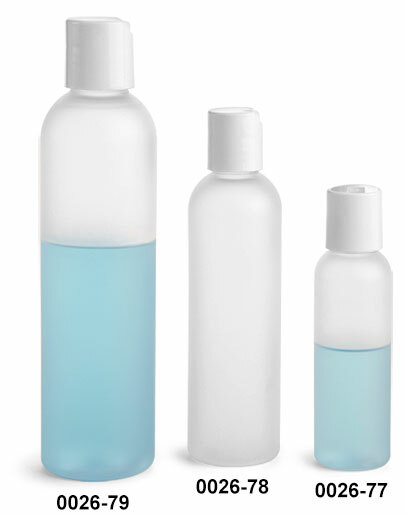 These plastic bottles with disc top caps may be suitable for packaging a variety of bath and body products including lotions and hair care products. 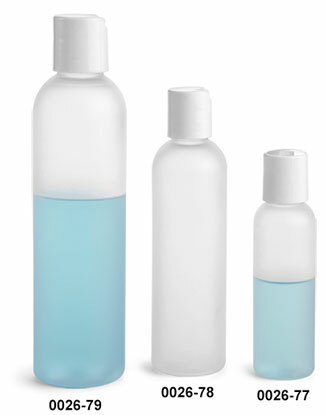 Make sure to test your products with the container/cap beforehand to ensure proper compatibility.